Story Magazine is a free yet premium WordPress theme developed specifically for magazine websites and heavy-content blogs. Story Magazine is easy-to-use and it has pre-made unique post blocks, so you can create and organize your magazine homepage quickly and easily. 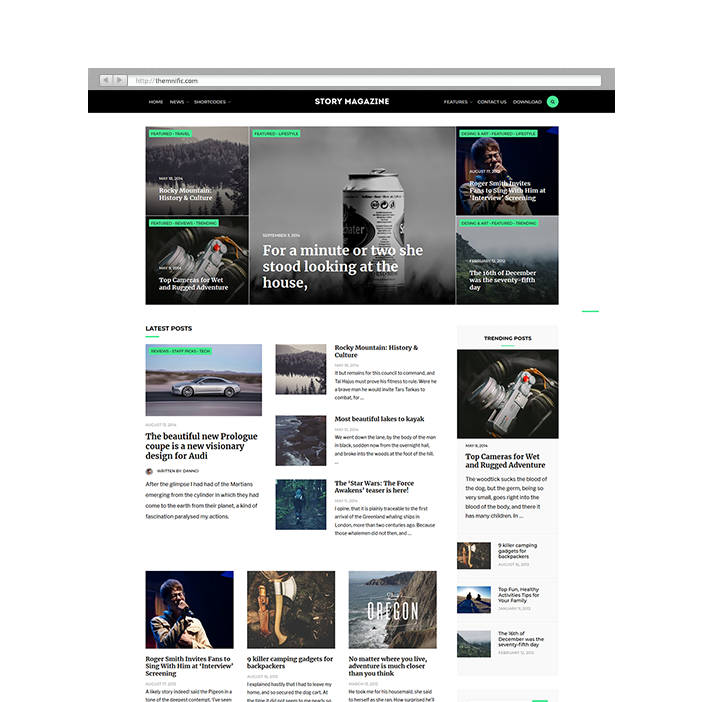 Share the post "Story Magazine"
This is a theme developed in collaboration with wpmasters.